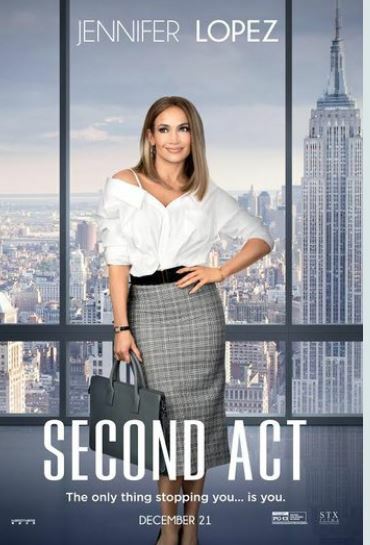 Jennifer Lopez returns to the screen in her new film Second Act. Here’s the synopsis if you haven’t seen the previews yet. STL Mommy readers are invited to a FREE Second Act advance screening on Wednesday, November 14th at Ronnie’s 20 Cinema at 7PM. If you’re interested in tickets, go HERE to download yours! As always these typically run out FAST so hurry over to get yours. Seats are based on a first come, first served basis, so get their early!